They started arriving at London’s St. Pancras International station—18 busloads in all—about three hours before their train departed for Paris. This was no ordinary train, the boarding process no everyday occurrence. As a journalist writing for Student Travel Planning Guide, I was there to report on how Rail Europe’s group department handled an exclusive charter for 734 students, teachers and guides traveling with EF Education First, the Switzerland-based student tour operator with offices in Boston and other cities around the world. Yes, EF took over the entire Eurostar train—not just a car or two—on a high-speed, London-Paris run via the Channel Tunnel. If the logistics of organizing a one-day bus trip seem daunting, imagine what chartering a whole train entails. Yet the crack operation went off with military precision, thanks to months of advance planning and day-of-departure help from 20-plus Eurostar, Rail Europe and EF staffers. Every detail had been nailed down—from the lanyards and wristbands to the sack lunch and bus transfers. It probably helped that the students’ 1,255 pieces of luggage were shipped ahead to their Paris hotel; the luggage racks in the cars were almost empty. (When EF chartered the train last year, every student was schlepping luggage, which didn’t make the mass movement any easier.) A Eurostar train holds only 750, so the rest of the EF group was put on later, regularly scheduled trains to Paris. While a full charter is highly unusual, Rail Europe’s staff in White Plains, New York works with groups of all sizes—as small as 10—and provides other services in addition to issuing train tickets. I had been invited by Rail Europe to tag along for the day with the big contingent of middle school students from Mexico that had just completed a two-week, English-language session at the Bournemouth (England) International Qultural Fest. A few days in Paris, including a visit to Disneyland Paris, would round out their spring trip to Europe. Once I had entered St. Pancras station at around 9 a.m., I had no trouble finding the roped-off boarding area where the students were going through airline-style security. Pink was the color of the day. At the Eurostar gate dedicated to the group were EF stand-up signs and lighted overhead panels displaying the bright pink EF logo. Backpack-toting students and their chaperones were draped with pink lanyards bearing a tag inscribed with their name, car number and seat number, and a pouch for the passport. Each wore a pink EF bracelet that served as a rail ticket. As I mingled with students waiting in line outside the gate, a whole new busload would arrive. Many of the students, from all over Mexico, told me they had never been on a train before. Despite the size of the group, everything seemed to be orderly. Once past security, the students flooded the waiting area, many of them sprawling out on the floor. Some tore into their Caffe Nero bag lunches (sandwich, chips, cookie or muffin, water bottle) right away, not waiting for the train ride. Though it could have been a chaotic scene, the group was extremely well mannered, from the time they arrived at St. Pancras to disembarkation at Paris’ Gare du Nord. Onboard they slept, chatted quietly, played cards and attended to their electronic devices. On the two-hour-and-15-minute ride from London to the Continent, I sat in a car with EF staff and Fred Spagnuolo, director of Rail Europe’s group department, who told me that his office is not an impersonal call center. Rather, it’s a small team of highly experienced consultants who offer personalized service as it handles a group’s request from start to finish. Assisting more than 200,000 travelers a year, the group office in White Plains consists of 13 personnel, including seven sales consultants, two managers and support staff. Incorporating a rail segment or two into a group tour of Europe breaks up the days of bus travel and adds a bragging-rights feature, especially if it’s a high-speed train like a TGV from Paris to Nice, an AVE from Madrid to Seville or Eurostar service via the Channel Tunnel. High-speed trains average 186 mph. Frequent departures, from city center to city center, make it easy to plug a rail trip into an itinerary. 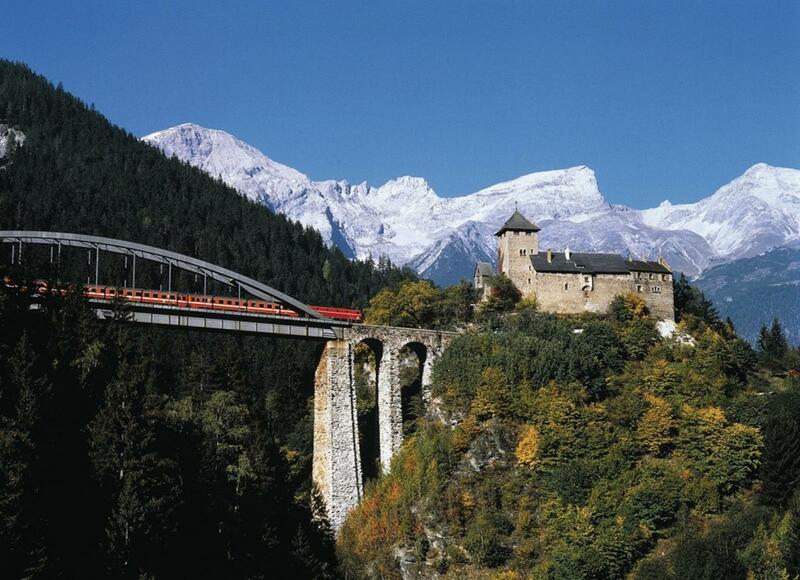 Also popular are scenic routes in the Alps, such as Switzerland’s Glacier Express. Rail Europe Inc., owned by the French National Railroads (SNCF) and Swiss Federal Railways (SBB), is the largest North American distributor of European rail products, offering point-to-point tickets and a variety of rail passes. Though train seats do not open for sale until a few months before departure, groups seeking to block space should request it from Rail Europe as soon as they know their exact travel dates, Spagnuolo said. Their information immediately is loaded into the system and will be ready and waiting once the seats open for sale. Eurostar seats become available 160 days prior; for other trains it’s 60 to 90 days. Since payment is not required until 35 days prior to departure,there is no risk in reserving space far in advance, Spagnuolo said. Besides booking blocks of train tickets, Rail Europe’s group department offers other travel services, which comes as a surprise to some tour planners. Among those extra services are booking museum passes, metro cards and hop-on, hop-off city bus tours. Luggage handling, onboard catering, and airport or hotel transfers by coach or mini-van also can be arranged. No matter the destination, passengers on European trains can expect a smooth, quiet ride on comfortable chairs with head, arm and foot rests, and a pull-down table. Being free to walk around—or just knowing that you can—is another highlight of train travel. On major routes there’s usually a snack car. First-class cars usually feature three seats across, four across in second class. There’s a bathroom every two cars, and I was impressed with the automatic hand dryers on my recent rail trip around Western Europe. On the Eurostar journey to Paris, EF students were split up between cars in three classes of service—Business Premier (premium first class), Standard Premier (first) and Standard Class (second). Normally, a warm, three-course meal is served in business, while first-class passengers get a cold meal and second-class customers have access to snacks in the bar car. Eurostar business and first-class cars feature three seats across, with a pull-down table or seats facing each other (called Clubs 2s and Club 4s) with a table in between. The tunnel linking Great Britain with continental Europe is actually three interconnected tunnels—one rail track for each direction (northbound and southbound) and one service tunnel. Its length is 31 miles, of which 23 are underwater. The average depth is 150 feet under the seabed. Most in our EF group were so busy talking or reading that we were halfway through the tunnel before we knew it. And soon we were disembarking at Paris’ Gare du Nord, where students were led to waiting buses just outside the rail yard. Whether traveling underwater or through majestic mountain passes, to capital cities or small villages, student groups booked on European trains can look forward to a relaxing ride and a chance to experience the latest innovations in rail transportation. All aboard for the Old World! 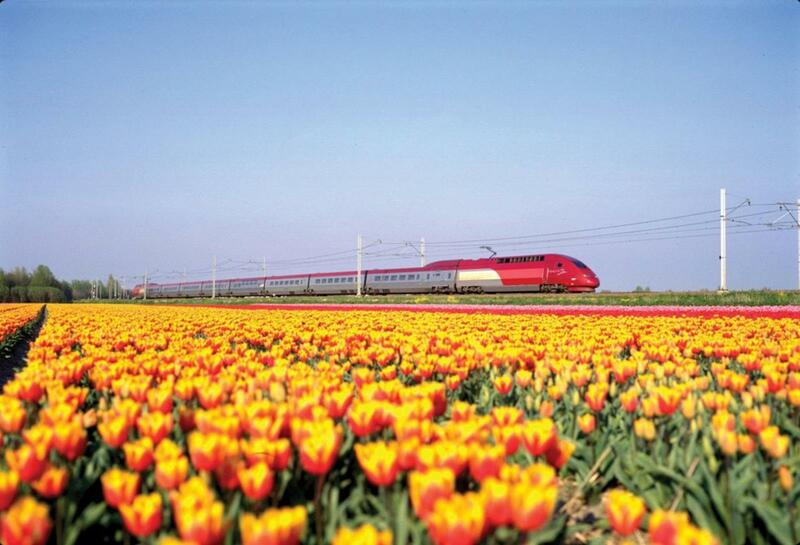 For help with arranging train travel in Europe, call Rail Europe’s group department at 800-462-2577, email groups@raileurope.com or submit a group request using the website, www.raileurope.com/group-travel/group-travel.html.